Nick was born and raised in Syracuse, New York. Nick was a Central New York All-League selection three times and a two-time All-Central New York performer while he attended Cicero-North Syracuse High School. He also played on the select Central New York Empire Games Team. Nick was a starting midfielder at Hobart College for two years where he played under former Cornell Head Coach Matt Kerwick. Nick transferred to Le Moyne College in Syracuse where he played under Hall of Fame Coach Dan Sheehan and finished up his collegiate career. Le Moyne College went undefeated in the regular season his senior year. In 3 years his teams at Le Moyne went a combined 27-4, including 2 Conference Championships and 1 National Championship game appearance. Nick spent a year in the Mechanical Piping Industry before relocating to Dallas to pursue a career in coaching. Blumer was the assistant varsity coach last year prior to becoming the head coach for the program in 2016. Starting midfielder in a college Division I program and a college Division II program. Played for the East Payneham Redwings in Adelaide, Australia for the 2013 season. Coached at over 25 camps at various schools including Cornell, Syracuse, Hobart, and Le Moyne. Coached at Alma Mater, Cicero - North Syracuse High School during the summer of 2013. Led 2015 Flower Mound JV team to an undefeated 10-0 record as Head Coach. Was an assistant coach on the 2015 Flower Mound Varsity team that reached the State Semifinals. David grew up in Corning, New York. With a father who is considered a legendary high school coach, it was only natural that David would excel at the sport. David was a decorated midfielder and face-off specialist at Corning East High School in New York. His high school career face-off winning percentage was over 72%. David was selected to the All-Conference First Team, All-Tournament Team, and selected to play in the Super Senior Game. He was named his team's Offensive Most Valuable Player. In 2002, Streeten earned a silver medal in the Empire State Games of New York as a member of the Western Empire Team. David played for Division I Binghamton University as a face-off specialist until he was sidelined by a career ending injury. During his remaining three years of school, David worked as a volunteer assistant until he graduated from Binghamton in May of 2008 with a bachelor’s degree in English and a concentration in creative writing. After graduation, David worked as a freelance sports journalist at both Inside Lacrosse Magazine and Lacrosse Magazine. and substitute teacher before entering the coaching realm. "I am very excited about having the opportunity to coach the amazing talent I have already seen at Allen High School. The lacrosse community, players, and board in Allen have a culture and set of values that are very similar to what I grew up with while playing the game. I am very anxious to get on the field with the boys in Allen, to help them continue to raise the level of excellence they have already started there." 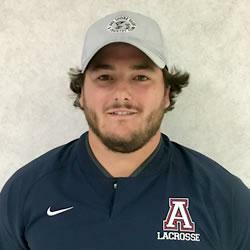 Coach Parker comes from his hometown of Syracuse, NY, where he played scholastic lacrosse at Nottingham High School. 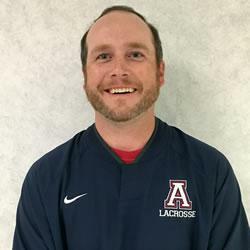 The Nottingham Lacrosse program is most widely known as the alma mater of Matt Abbott, former Syracuse All-American and current MLL and Team USA player. 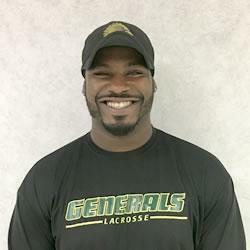 Coach Parker went on to play collegiately at Herkimer Community College, home of the 9-time NJCAA National Champion Generals lacrosse team. While at Herkimer, Coach Parker played under Coach Rich Dommer, a former All-American and NCAA Champion himself. After being recruited by several schools while at Herkimer CC, Coach Parker chose to attend and play lacrosse at NCAA Division III Medaille College in Buffalo, NY. Throughout his career, Coach Parker was asked to play nearly every position, resulting in a comprehensive knowledge of the game in every facet. Coach Parker recently decided to leave a management position in Syracuse to pursue his true passion of teaching and coaching the game he loves. Kyle Carey grew up playing lacrosse in the Midwest hotbed of Columbus, OH. During his high school tenure, Kyle was awarded with All-American, 3x All-Ohio, and Ohio Defensive Player of the Year honors. After high school graduation, Kyle moved out east to upstate New York to play at the elite Syracuse University under Coach John Desko. In his junior and senior year, he played in 36 games. In 2013, Kyle made his first career start vs Albany, and was credited with his first career takeaway from 2x Tewaaraton Lyle Thompson. During his college tenure, Syracuse won four Big East titles, made four NCAA tournament appearances, and played in the 2013 National Championship vs Duke. Kyle also made academics his priority, being named Big East All-Academic team and SU Athletic Directors Honor Roll all four years of college. Since graduation in 2013, Kyle has been pursuing a career in medical sales for Stryker, where he currently works as a sales representative in the sports medicine industry. Scott has been playing lacrosse for over 30 years. He played at Oklahoma State University from 1986-1990, playing as a face off mid-fielder, long stick middie, and close defense. Scott has played in Dallas area adult leagues for many years, including the Dallas Sharks, Lonestars, Coppell Red and White teams, Southlake Cobras, and the reborn Dallas Sharks. The Coppell Red team won the SWLA 2000 Championship. Scott has competed in the Coppell and Southlake Summer Leagues for 14 years and has also played on various travel teams over the years, competing in tournaments in Texas, Tulsa, New Orleans, Las Vegas, and Vail, playing every position. He also coached a U15 Lonestar Select team that competed in Vail.